Gil Hibben III Fighter Knife | BUDK.com - Knives & Swords At The Lowest Prices! The Gil Hibben III Fighter Knife has been constructed to last for a long time! With the fierce blade cut-out, you'll want to take this knife everywhere! I bought this knife as a smaller alternative to the Hibben III, which I also own. I found the quality to be excellent The knife was sharp and looks durable and well constructed. The proportions on this knife actually make it look like it has a bigger (wider) blade than the Hibben III. The sheath was of good quality as well and had a nice broken in feel to it. Highly recommended. this is a beautiful high quality knife, its heavy,sharp,and flawless quality, I've wanted one for awhile, I work in a knife shop, but when this knife went on clearance and then the other 30% off, it was cheaper then i could get it through the shop! Dont miss out on this one. Very sharp. Excellent balance. 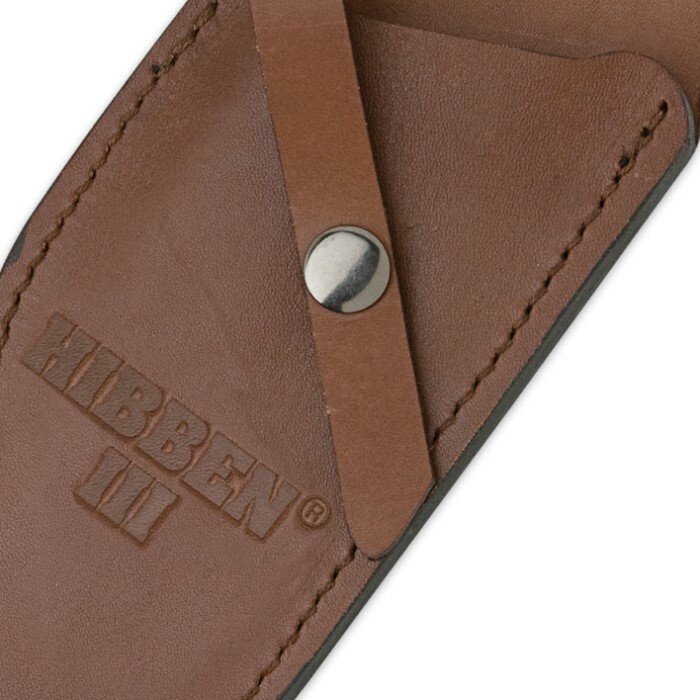 Another Hibben masterpiece! Go buy one! NICE FEEL to it, wish I had ordered sooner. Would make an excelent gift for those who Love knives. I just received my Gil Hibben III Fighter and I absolutely love it. This is the perfect knife for the outdoors. I love the weight, balance and styling of this knife. I unfortunately purchased through Amazon. Oh well, s#%t happens. I will definately recommend this bowie to all my friends. 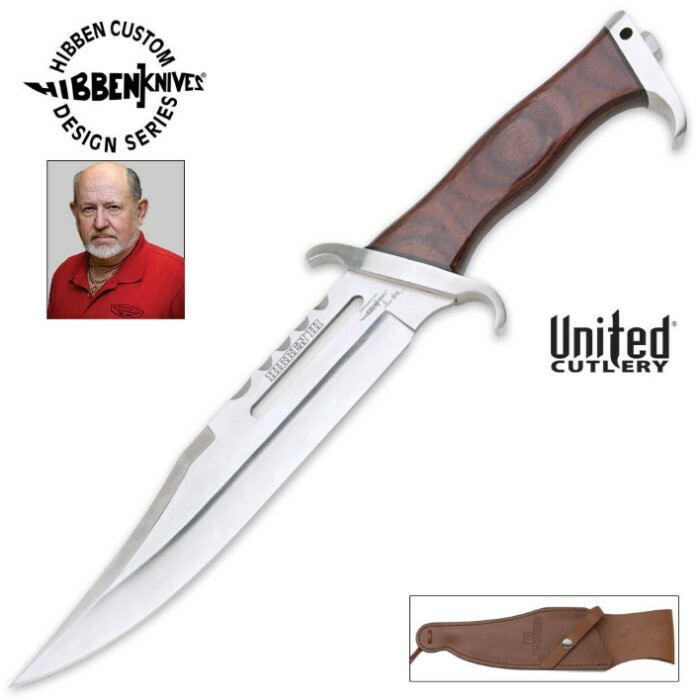 Gil Hibben is definately the best! This is the fourth Hibben Knife I have purchased from Bud K. I have become addicted to the Hibben line of knives because of the attention to detail and the outright quality they put in their knives. I like the heft, the balance and the weight of this knife. It easily takes a razor sharpness and keep a good edge for a long time. This knife will serve me well for years to come. The only criticism I have is with the rat tail tang. This knife will definitely not be a good candidate for a survival situation, but is great for hunting and all around use.